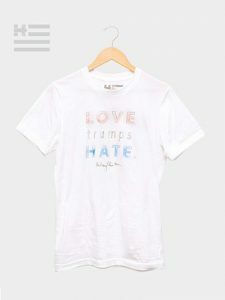 Three jewelry designers answered the call when Hillary Clinton’s team reached out to them to create T-shirts to support the campaign. 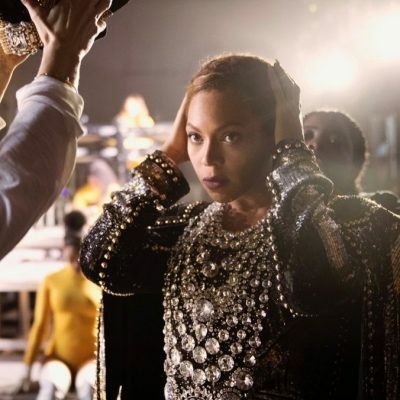 The apparel is a part of the Made for History collection of limited edition tees conceived by some of the biggest names and greatest talents in American fashion including Marc Jacobs, Joseph Altuzarra, Tory Burch and Diane von Furstenberg. 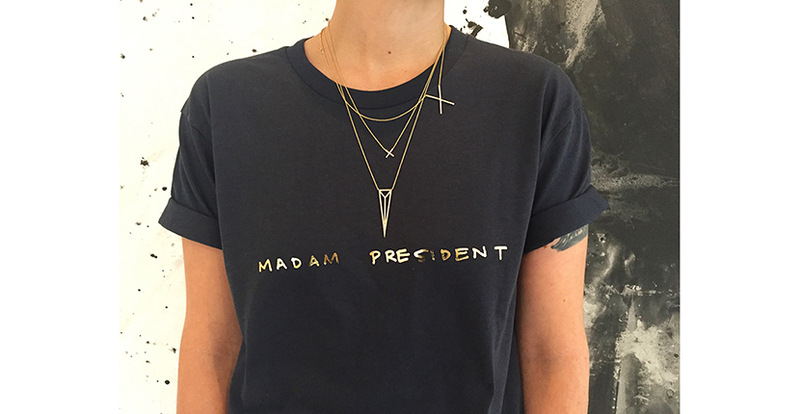 Each of the three jewelry designers—Eva Fehren, Pamela Love and Monique Péan—expressed their support of Hillary in unique and stylish ways that are sure to transform the t-shirts into collector’s items. 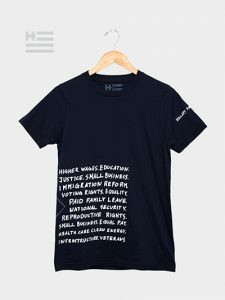 Monique Péan printed a list of her issues Hillary supports artistically in white across the side of her navy blue tee shirt. 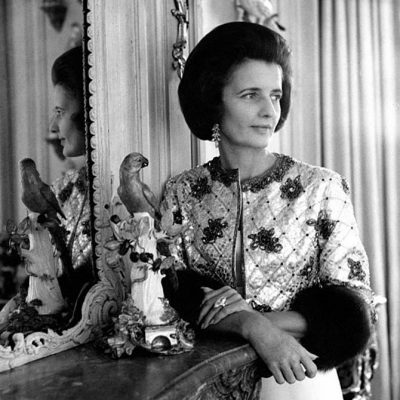 The designer says of her choice for president, “I support Hillary’s commitment to K-12 education, paid family and medical leave. We are the only developed country that does not have guaranteed paid leave of any kind and only 13 percent of Americans have access to paid family leave through their employers. Children are the future of our country and, as a new mother, these issues strongly resonate with me.